When I say that the internet is a facade, I don’t mean a facade as portrayed in the Matrix. 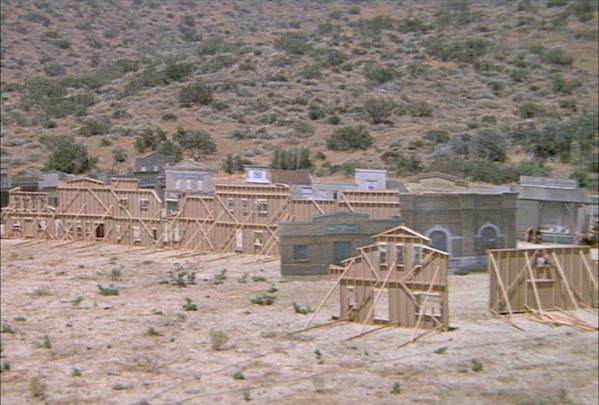 I’m thinking more like Rock Ridge from Blazing Saddles. One of the advantages of the internet has always been the level playing field that it provides. The rent is basically the same, it’s just a matter of how you use the space that you have to promote your business. Whether you are a sole-proprietor or a large multinational corporation, your business is represented by your website and the interactions that you have online. As a business, this is a terrific advantage. For consumers, this can be perilous. Here’s how. Most web sites run on cruise control. They were created to do a particular thing - sell a product or software, promote an organization, act as a storefront for a service - and most can operate with little interaction from the owner. The problem comes when the owner has abandoned the business but the website lives on. I have run into this issue recently with a piece of software, a car dealer inventory management system, that seems to be all but abandoned by the owner leaving me and a couple of my clients without a way to resolve issues that are out of our control. The problem is that the software has a dependency that requires the owner to at least have some interaction with the product. The installed software checks a server to see if the license is valid. Typically, this is not a problem and even if the owner had abandoned the business, it wouldn’t be an issue. Until something went wrong with the server. Trust me, eventually, something always goes wrong with a server. At the end of 2014, there was an extended period of downtime on the software developers server that made the piece of software inoperable for my client. This was unacceptable for all involved. As would be expected, the client came to me to resolve the issue - which I gladly would, if I could - but I had no way of contacting the software creator because the server was down meaning that both email and the support ticketing system were inaccessible. Additionally, there was no other contact information (telephone) provided on invoices or any other interaction that I had with the developer. Eventually, (four or five days later) the server came back up and everything went back to normal. I would love to tell you that we have moved all of our information off of those services. Unfortunately, that is not the case. We have been unable to find a solution that meets our needs within a similar price range. I feel like I’ve learned a few lessons from this situation. I’ll share them with you in hopes that you don’t make the same mistake that I did. I would also look at these as ways that you should run your business, if you are primarily an online business. Is the website active and up to date? Is there a blog that is frequently updated? A copyright dates up to date? Are social media accounts being maintained? Do they respond to email? Send a simple email and see how long it takes to respond. Look for a phone number on a website. No phone number, no business. Call the phone number and talk to someone. Find out where they are. Get a feel for their business. Find out how they handle tech support. Phone, email, ticketing system. When researching software, find out about the dependencies of the software. Is there something out of your control that could render the software inoperable? Is the software encrypted? One particularly painful issue with the software that we are using for inventory is that it is encrypted. This means that we can’t view the source code. That probably doesn’t seem like a problem for most people because they’re not going to know what to do with the source code anyway. The problem is, if the software is abandoned in the future then you can’t find a web professional to take a look at it to fix what may be minor (or even complex) issues. The problem is that you could follow all of this advice and find a great developer and they could go out of business. It happens. Life happens. That’s why it’s best to know as much as you can - or at least get documentation - about the project. That way, if something does happen, you aren’t left out in the cold. You will at least have some starting point when you search for a new developer to take over the project.